Edication is not received, it is ACHIEVED. UIN Education empower university students by matching them to extensive international education and study abroad opportunities at world-renowned universities & research institutions. More than 65% of undergraduate students have limited access to international education opportunities caused by various reasons. UIN is aiming to connect young people with international education opportunities beyond their regional, cultural and socio-economic background. 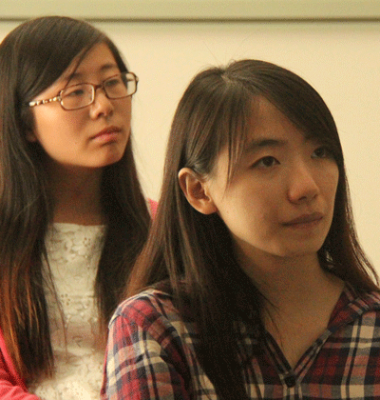 BJTU Summer Session is a partnership between Beijing Jiaotong University and UIN Education, providing undergraduate students with the great opportunity to attend lectures in UCL, LSE, and IC, aiming to align undergraduate students strengths and interests to continue their further study in UK. "BJTU Summer Session provided me with great opportunity to experience the life of study abroad. I decide to apply UCL as soon as I finish the summer session." An exciting program that gives you an insight into state-of-the-art technologies and in-depth discussion about globalized business and entrepreneurship. Exprience academic life at Univesity of Cambridge, 1st rank University in the world. This program is designed for undergraduate/postgraduate studetns share a relevant background or strong interest in Engineering, Computer Science, Business, and Management.